From personal experience, no JWT (JSON Web Token) library incorporates a feature for role-based authentication, at least for my core languages which are Node, PHP, C# and Java. In as much as the trend is building stateless API applications, only session authentication libraries come with role authorization helpers. 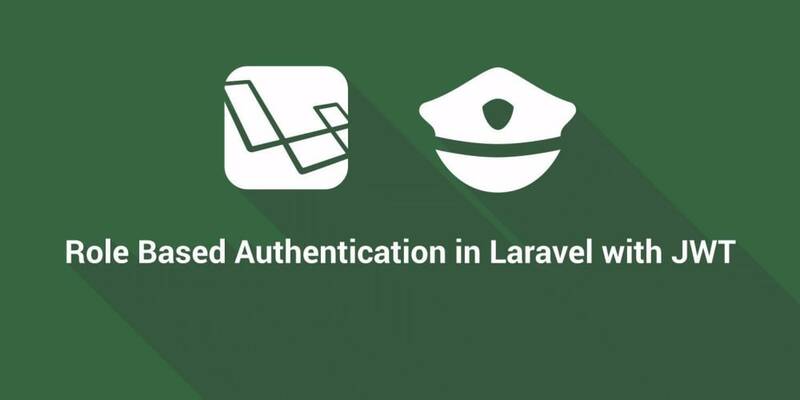 I am going to show you a simple hack for adding role based authentication to JWT powered applications, using Laravel as case study. You can skip this section if you know everything about JWT and role-based authentication. JWT is the best option at this time to create authentication for stateless applications, mostly Web API. It has a lot of advantages including flexibility, enables scaling of HTTP applications, self contained and available in all standard programming languages. In Laravel, we are going to use Tymon&apos;s jwt-auth as demonstrated in this tutorial. Role based authentication on the other hand is authorization mechanisms for applications. It does not just end at collecting username/email or password but figuring out identity and assigning roles to these identities while restricting permissions too. A user is an entity and has different characteristics from another. She can create another entity but might not be allowed to delete the entity. She might be allowed to view some entity but not allowed to edit it. Determining these restrictions and permissions is where the headache is because JWT already handles authenticating the user. We will make use of a common library, Entrust, to achieve authorization. Where the problem lies as already described in the introduction is working with JWT and authorization. This might not be a problem to professionals but I am 90% certain that beginners are battling with this judging from questions thrown around in the community. Let us try and tackle this problem. Middleware seem to scare beginners a lot and trust me I had that experience when I was new to Node, specifically Express JS. When I finally could wrap my mind around the concept, it felt so easy to do all over again and again. However, explaining middleware is not in the scope of this article. For now, just see authentication middleware as the automatic security gateways in places like the airport but in this case way smarter. We will dig into the source of jwt-auth and Entrust to see how their middlwares were developed and how we can blend them to work together. That sounds scary, I know, but it is no big deal. To get a clearer picture we will make a sample app to see how we can create custom middleware that will tie the functionalities of Entrust and JWT. What we need to do first is setup a Laravel application. We have only implemented two of the few methods. The index() method is for our protected route, which just lists all users. The authenticate() method uses the JWTAuth&apos;s attempt() method to create a token for the user. Those are just the eloquent models needed for the permissions and roles table. Notice we have replaced the Authorizable with EntrustUserTrait trait in the model as we are not going to use Laravel&apos;s built in authorization as it will cause conflicts with Entrust. NB: This is just a demo. In a real application, kindly do some protective checks before saving. Also visit the Entrust documentation for more available options. We are just saying that we need the user to be an admin or have the create-users permissions before they can access the routes in this group. Use Postman to create an admin role and create-users permission. Doing that will not protect the routes but rather throw errors, so we need to define this middleware. Entrust already has a EntrutAbility that can be seen here but the problem is that it works with sessions and not tokens. What we can do is extend the JWT&apos;s middleware to include Entrust&apos;s and work with a token, not session. Now you won&apos;t get an exception again if you tried accessing the protected routes. Instead you will get a 401 or the data you seek if you are authenticated as the required role. As a recap, we just allowed jwt-auth and Entrust to work independently. Then we went an extra mile to create a custom middleware other than what the libraries provide to better meet our needs. Use the provided demo as an example if you got lost anywhere in the middle of this tutorial. Feel free to use the comments as a mini forum for your confusions and we will be glad to fight your code battles with you.